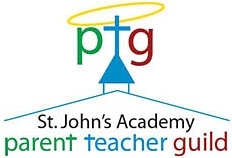 SJA thanks all the parent who have helped on various events throughout this school year. We are so grateful for our wonderful parent volunteers, they bless our school community with their time and talent! If you have signed up for our ShopwithScrip Program to complete your fundraising requirement you can find more information by clicking on the attachment below. If you did not sign up but would like to use the program to purchase gift cards and support SJA- Thank you!! Anyone can sign up and open an account to start earning money for our school! Tell your friends and family!